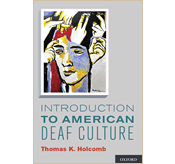 Welcome to Deaf Culture THAT! 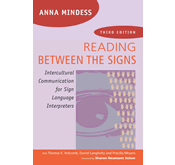 This website celebrates a unique Deaf/hearing partnership, which, in over 15 years, has created a range of widely appreciated educational materials. 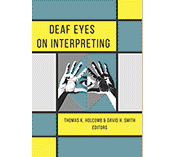 Dr. Thomas K. Holcomb, a Deaf professor of Deaf Studies, who has lectured around the world on topics related to Deaf Culture and is editor of the new book Deaf Eyes on Interpreting and author of Introduction to American Deaf Culture and Anna Mindess, a hearing interpreter, author and educator, whose ground-breaking book Reading Between the Signs has been used as a textbook across the U.S. and abroad since 1999. We believe that two viewpoints can provide greater clarity on cultural issues, where there are often multiple perspectives. 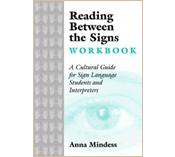 We are also convinced that humor can be an effective teaching tool to illuminate cultural assumptions. We look forward to sharing our work with you and engaging in a dialogue to promote mutual understanding.